Katie shared the premise of this story with me a long time ago (I can't recall when...I think it was a query contest). In any case, I loved the idea so much that I remembered the story line clearly, which says a lot considering how many books that have floated in and out of my consciousness over the past few years. I was so excited to see that her idea had become reality! Twenty-five year old Cadence has a happy life with her husband Austin and baby daughter Melody. Then she wakes in the hospital after a mysterious earthquake/accident and discovers that her husband and daughter are both dead. The first chapter alone nearly had me in tears, especially when Cadence visited the morgue and held her infant's body. Any mother (or really any human with feelings) would feel for Cadence and support her desire to do absolutely anything to get her family back. Then the magical realism kicks in. A guardian angel visits Cadence and offers her a chance to go back in time to save her husband and child. Of course, she's on board, but it's not the easy fix you might think. Cadence has to go all the way back to ninth grade, years before she met her husband and a decade before she gave birth to her child. The twenty five year old finds herself in her fourteen year old body faced with having to life a decade of her live all over again in order to save her family. A great premise, right!? I love it. On a random side note, I love how the new mom looked at her fourteen year old body and wondered why she had once been so critical of it. I think that every time I see an old picture of myself. Why did I think I was fat?? But I digress. This is an engaging and creative read, with plenty of twists and turns to keep you interested throughout. With every choice she makes, little things change, creating new even more complicated choices. I just wish all the books were out now! I had thought I was going to get all my answers at the end of book one, not fully understanding that there was more to come. But that's okay, I have something to look forward to. I also loved the daring genre twist. It's almost like a young adult book written specifically for an adult audience. Or perhaps a book that's YA and adult simultaneously. In any case, I think it would be an appropriate read for both YA and adult audiences. Cadence Anderson has the perfect definition of happily ever after . . .
Until she doesn't. A freak earthquake shatters her life as surely as her home, taking away everything she holds dear. She wakes in a hospital to find that her beloved husband and infant daughter have been killed, crushed by the earthquake's wrath. Disoriented, injured, and alone, Cadence refuses to accept the loss. So when a man claiming to be her guardian angel appears and offers her a chance to go back in time to save her family, she doesn't need to give it a second thought. She accepts. Thrust back eleven years, she now faces the ordeal of high school all over again. But this time, she's armed with all the knowledge of her adult life and the determined to do everything better, from preventing the loss of her best friend to avoiding her original, drama-inducing boyfriends. She's focused solely on Austin, her future husband, and is content to bide her time until she meets him again. But then James Gordon crosses her path. Cadence wants to remain single, but James has his sights set. He is determined to win her over, and he's very hard to resist. As Cadence starts to develop unwanted feelings for him, she realizes he threatens to disrupt everything, changing the future and distracting her from her original goal. Now, Cadence must choose: deny the unpredictable and exciting path James offers her, or stay true to the life she had and is trying desperately to resurrect. Second chances are more complicated than they seem. 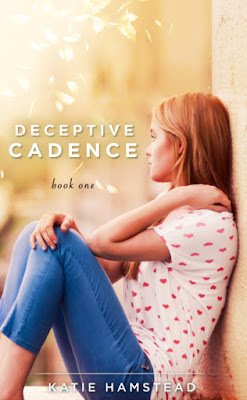 Deceptive Cadence combines the soaring emotion of a heartfelt romance with the innovative storytelling of magical realism, crafting a uniquely moving, intricate tale about love and loss that asks: what would you do if given the chance to right all your wrongs? Thank you for the share. Really very nice one. This post provides more useful information. Really glad to read this article and I will refer this site to my friends. The way of writing is good and interesting. I am thankful to you for sharing this useful article. I have thoroughly enjoyed reading your article. If you need writing help feel free to surf custom essays, they gives best writing help.